With those breezy cool days turning into crisp cold nights, there’s nothing that satisfies more than soup for the soul. Soup can be so comforting, it’s what’s most often fed to you when you’re sick, or when your insides need a nice warm hug. 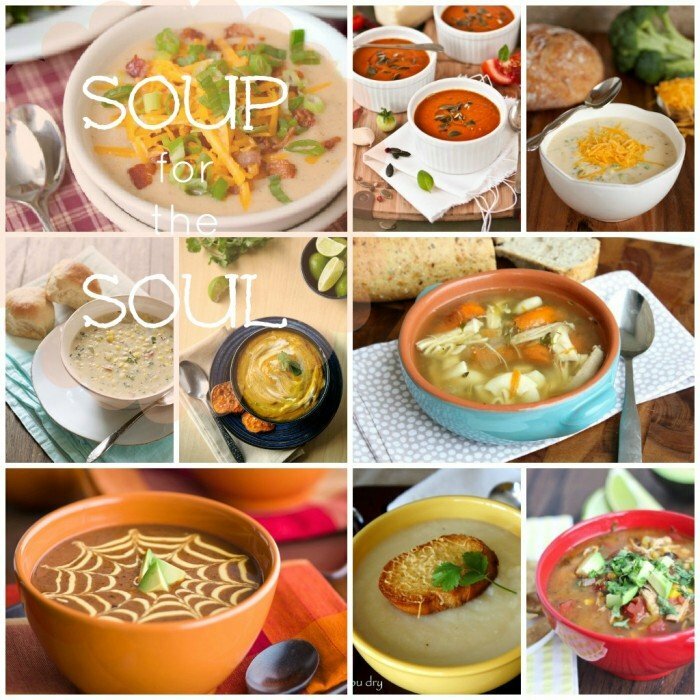 I love soup weather, and I’m excited to share some great soup recipes that I have found from some fantastic food bloggers in this week’s Saturday Morning Roundup! Not only is this first soup visually appealing, it has all the elements of a spoon-licking good dish! 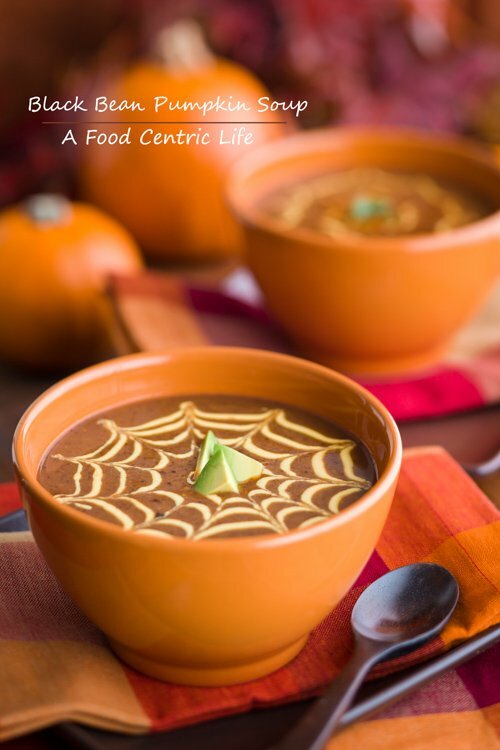 Check out this Easy Black Bean and Pumpkin Soup by A Food Centric Life! 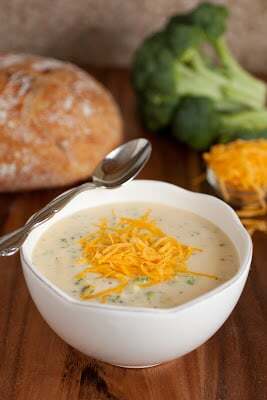 I’m pretty sure anything that comes out of Cooking Classy’s kitchen tastes like heaven, but this Broccoli and Cheese Soup looks above and beyond good! 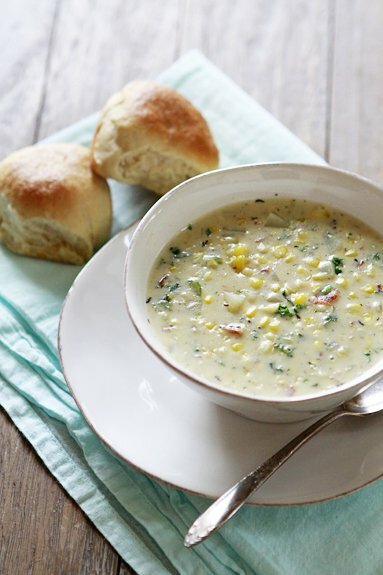 Good Life Eats stops at nothing to bring hearty and comfort together with this Potato Corn Chowder with Kale and Bacon. Yes… bacon! I’m not gonna lie, I’m having a bit of an obsession with Curry lately. 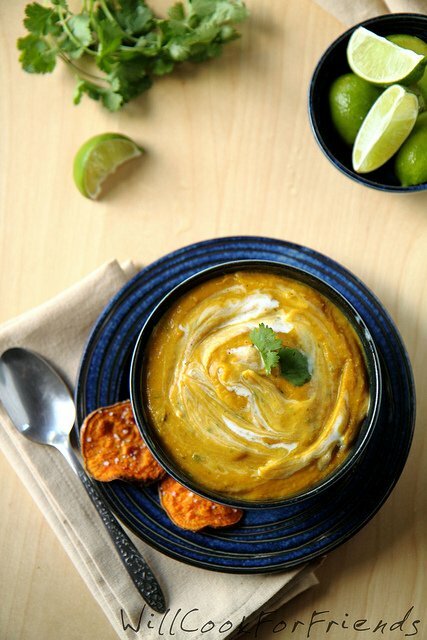 So when I saw this Curried Sweet Potato Soup from Will Cook For Friends, I immediately fell in love. 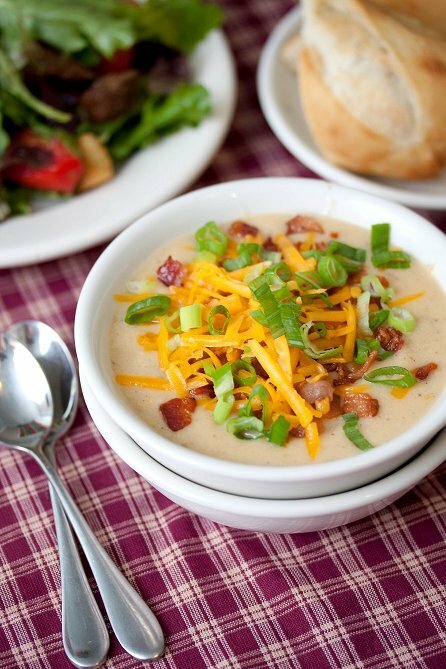 Loving this Loaded Baked Potato Soup from Tide and Thyme. I want like 15 bowls right now! 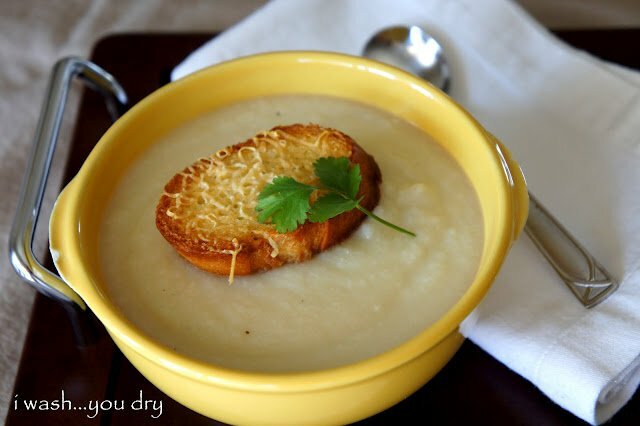 If you’re looking for a guilt free creamy soup, check out my Creamy Cauliflower Soup with Asiago Croutons. It’s definitely a winner! 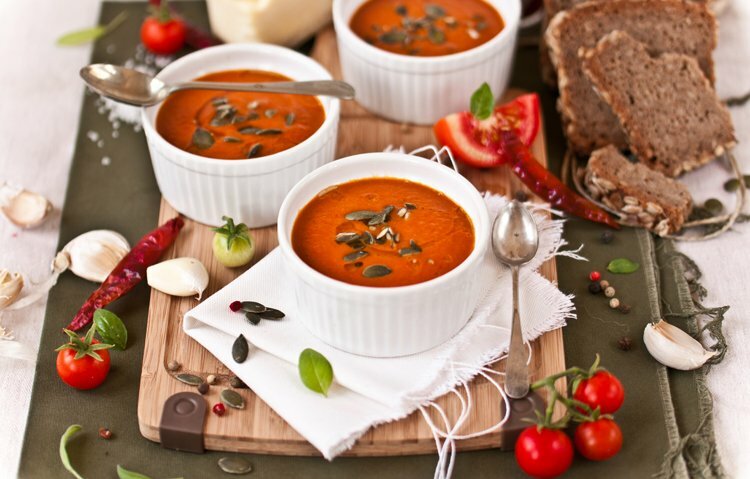 I simply adore this Roasted Tomato Soup from A Grain of Paradise. Makes me want a grilled cheese sandwich and a good book! 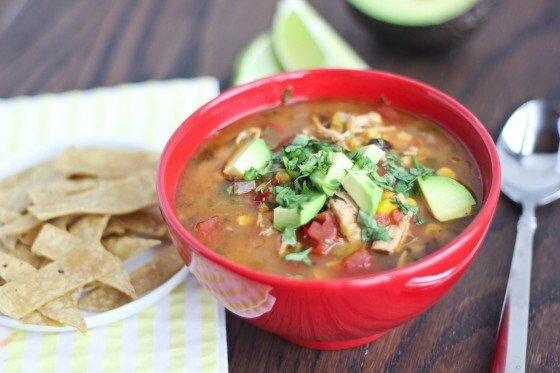 Who could ever pass up a bowl of Chicken Tortilla Soup? 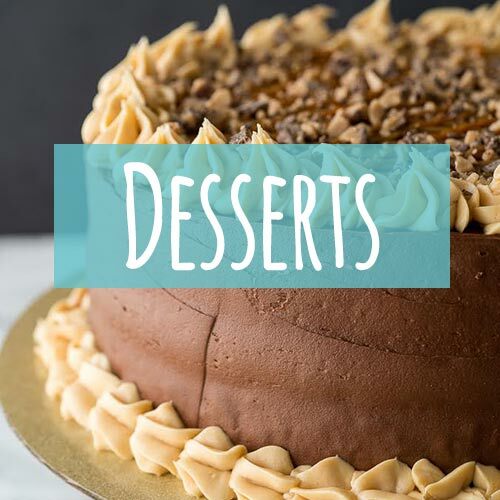 This beauty from Bake Your Day is simply calling to me. Can you hear it? 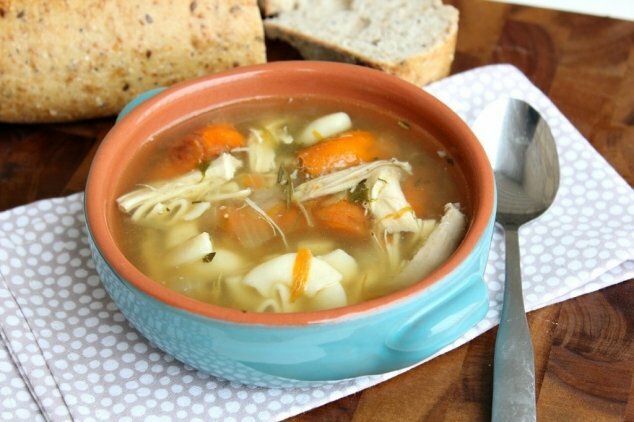 Last but not least, we can’t forget the Homemade Chicken Noodle Soup. This bowl from Pardon The Dog Hair just reminds me of cold winter nights and feeling oh-so-comforted by those aromatic smells of soup on the stove. Yum! 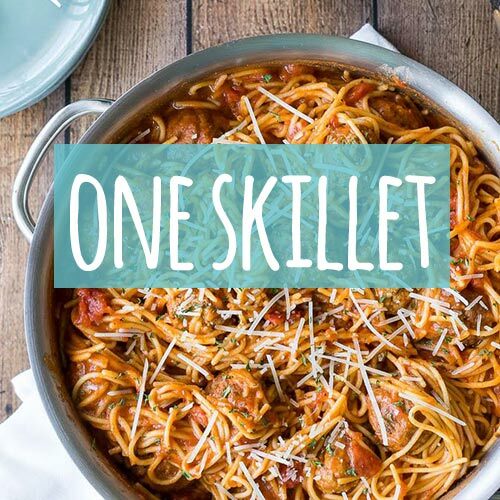 Be sure to come back next Saturday to share your favorite Party Appetizers! 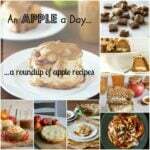 Saturday Morning Roundup - Apple-icious! 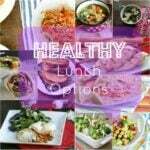 Saturday Morning Roundup - Healthy Lunches! I’ve totally been eyeing that chicken tortilla soup. 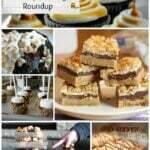 Lovely roundup as always! I LOOOOVE soup. Especially when the weather gets chilly, there’s nothing I crave more! All these soups are making me hungry, Shawn! 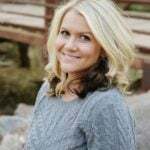 Awesome soup round-ups, Shawn! There’s nothing that a beats a nice, hot bowl of soup on a cold, rainy day! Mmm Those look wonderful! I love thick creamy soups!